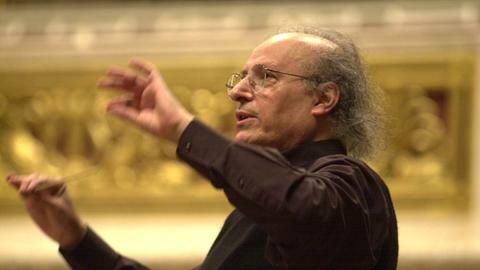 Eliahu Inbal was Music Director of the Frankfurt Radio Symphony (hr-Sinfonieorchester) for no less than 16 years and since 1996 he has been its Honorary Conductor. Under Inbal's successful artistic direction the Frankfurt Radio Symphony was able to establish itself on an international scale as one of the leading Bruckner and Mahler orchestras in the 1980s. During Inbal's era as Music Director (1974–1990), he created acclaimed radio and record productions, including the award-winning first recordings of the original versions of Bruckner's symphonies No. 3, 4 and 8 (Grand Prix du Disques), the first complete digital CD recording of all Mahler symphonies (Deutscher Schallplattenpreis) as well as recordings of the orchestral works by Hector Berlioz, Robert Schumann, Alban Berg, Arnold Schönberg and Anton Webern. In 1981, with Eliahu Inbal, the Frankfurt Radio Symphony also completed the relocation from the Broadcasting Hall of the Hessischer Rundfunk to the rebuilt Alte Oper Frankfurt, where more than twice as many listeners could attend the concerts of the orchestra. Together with Inbal, the Frankfurt Radio Symphony also made its first major tours to the United States and Japan, which strengthened the international reputation of the orchestra. Eliahu Inbal was born in Jerusalem in 1936, studied violin and composition in his hometown, and was later awarded a scholarship on the recommendation of Leonard Bernstein for further training in the conducting class of the Paris Conservatory with Louis Fourestier, Olivier Messiaen and Nadia Boulanger, and courses with Franco Ferrara and Sergiu Celibidache. After winning first prize in the »Guido Cantelli« conducting competition in 1963, he started his international career that led him to many leading orchestras in Europe, the USA and Japan. In addition to his many years as Music Director of the Frankfurt Radio Symphony, Inbal also served as Music Director of the »Teatro La Fenice« in Venice from 1984 to 1987, subsequently conducting numerous productions in the opera houses of Hamburg, Paris, Munich, Stuttgart, Madrid, Zurich and Glyndebourne. 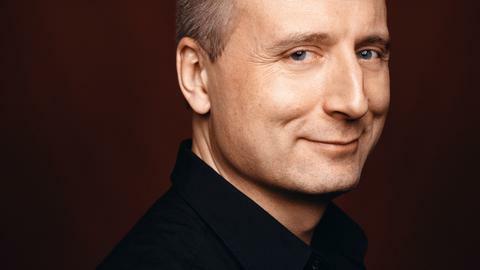 1996–2001, Inbal held the position of Music Director of the Orchestra Nazionale della RAI in Turin, from 2001–2006 he was Music Director of the Berlin Symphony Orchestra (now Konzerthausorchester Berlin), 2007–2011 Music Director of the Teatro La Fenice in Venice. 2009–2012, Eliahu Inbal was Music Director of the Czech Philharmonic Orchestra Prague and 2008–2014 of the Tokyo Metropolitan Symphony Orchestra. In 1990, the French government appointed Eliahu Inbal Officier des Arts et des Lettres. In 2001 he was awarded the Golden Medal of Honour by the city of Vienna. In 2006 he received the Goethe-Plakette of the city of Frankfurt am Main and the Bundesverdienstkreuz.